Earlier this week I wrote about how Navelgazing Midwife has come to accept some basic realities about pregnancy and childbirth that many homebirth midwives reject. It has been a long time coming. I first wrote about Barb Herrera, Navelgazing Midwife, almost exactly 4 years ago when she transferred a patient to the hospital so someone more experienced could suture a tear. She acknowledged that she really didn’t have enough experience to suture a tear or insert an IV. Once again, she acknowledged that experience had taught her many valuable lessons. … [W]hen women came to me and said, “I don’t want you to do anything but sit in another room,” I used to obsequiously tell them I would. It is the woman’s birth, after all, right? Over the intervening years, NGM has gained more experience and has changed her views based on that experience. That is what a good practitioner does. In fact, she has come to believe that the experience required for certification or licensing as a homebirth midwife is so deficient that homebirth midwives are not safe practitioner. She has put her money where her mouth is, suspending her practice as a homebirth midwife until such time as she has greater education and experience. She deserves kudos for that decision and for having the wisdom and humility to publicly acknowledge her evolving views. Yet there is a deeper issue here, one that I would like to ask Barb about. There are people out there who have the requisite experience that Barb knows she lacks. We call them certified nurse midwives. And there are people out there who come out of their training with even more experience than that. We call them obstetricians. Those CNMs and obstetricians could have (and probably did) point out to Barb that she did not have enough experience to be a safe practitioner and she blithely ignored them. In other words, Barb demonstrated the Dunning-Kruger effect. She had so little knowledge on the topic that she couldn’t fathom how little knowledge she had. She had a dramatically over inflated view of her own education and experience. Simply put, she didn’t know what she didn’t know. Was there anything that anyone could have said to you at the time you embarked on your career that would have brought home to you the absolute necessity of copious experience in becoming a safe practitioner? Put another way: Is there anything anyone could have told you to convince you that you didn’t know nearly enough? If I had to guess, the answer would be “no” because the philosophy of homebirth midwifery disparages the value of experience. And that’s why the homebirth midwifery credential (certified professional midwife) must be abolished. It was created for, designed by, and administered under the auspices of a group of women who have so little clinical experience that they don’t understand the value of clinical experience. The CPM is a pretend credential for women who want to call themselves midwives but can’t be bothered to (or don’t have the academic skills to) obtain a college level degree in midwifery. It is a pretend credential for women who don’t want to spend the time and energy necessary to acquire the experience that is mandated for all other midwives in the industrialized world. But maybe Navelgazing Midwife would disagree. Barb, is there anything we could say to homebirth midwives to wake them up to the fact that their education and training is deficient? 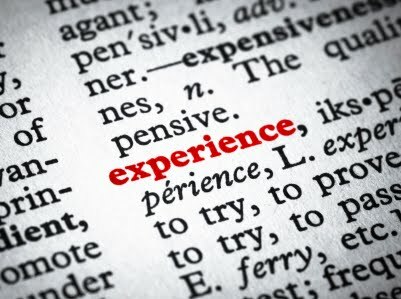 Is there any way we could convince them of the value of experience?